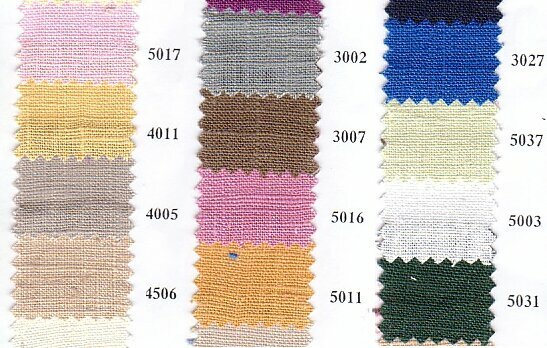 100% linen for summer clothes in pink, yellow, grey, blue etc. Its pre-shrunk so max. shrinkage i ca. 2%. We have lots of different colors.